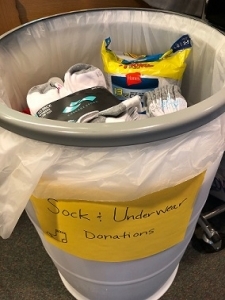 New Socks & Underwear donations – Collecting for Beaverton Clothes Closet! All this week, Findley is collecting donations of new socks and underwear to benefit the Beaverton Clothes Closet. The collection bin is located in the front hall of the school by the display case.